The biggest lobby group in Europe plans to derail an EU push to boost action on climate change, according to an internal memo obtained by Greenpeace. Over the coming year the EU is set to propose a strategy to help deliver on the 1.5C warming target at the heart of the Paris climate agreement, having recently agreed to raise energy efficiency and renewable energy targets. Molly Scott Cato, Green MEP for south west England, said: “I am shocked by the revelation that BusinessEurope is explicitly instructing its lobbyists to oppose any increase in climate ambition. Google, Facebook and BusinessEurope failed to respond to requests for comment. Which companies are in anti-climate groups? Among its tactics for “challenging the process” are calls for greater transparency and the need for an impact assessment to highlight possible costs to business. 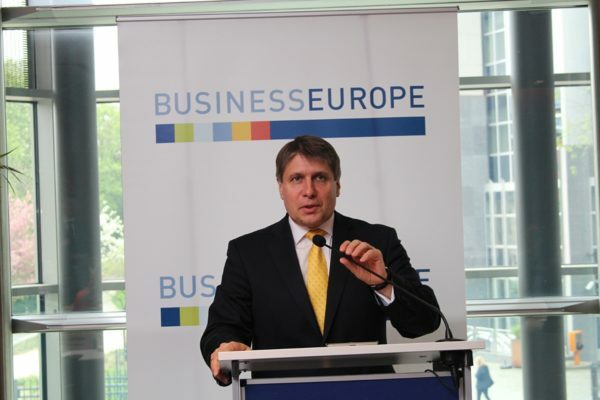 With 30 Brussels-based lobbyists and an annual spend of over 4 million euros, BusinessEurope is widely-considered to be the most influential trade group in the EU policymaking process. It represents 40 trade federations from around Europe, including the CBI, but 70 global corporations – including the US tech giants and oil companies like ExxonMobil – pay to sit in its advisory support group. A 2016 report by analysts at InfluenceMap found the group’s “engagement with EU climate legislation shows a long history of opposition” and claims its positions are not aligned with most of its constituents. Indeed Unilever (which makes marmite and many other things) left the group in 2014 over its stance on environmental issues, and the CBI reported clashing with the group on climate.